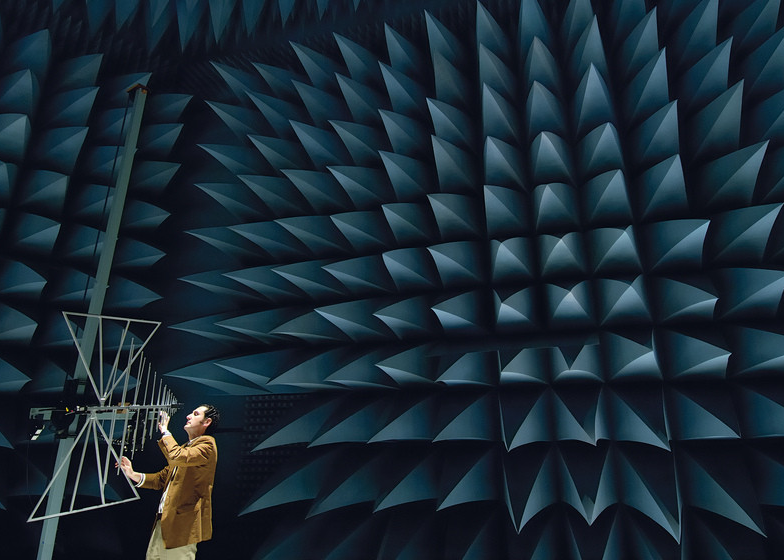 The materials used in the walls and ceiling of an Anechoic Chamber are such, that there is little or no reflection of Electro Magnetic Waves. 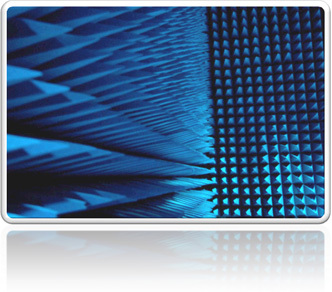 This is accomplished by the geometry and the absorptive nature of the materials. 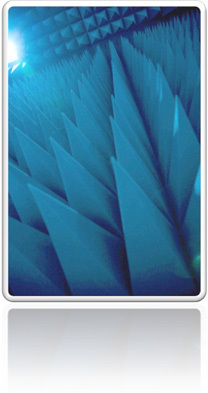 ITC features a 10 Meter Semi-Anechoic Chamber with turntable designed to carry up to 8000Lbs of load.